One of the most fascinating discoveries of our new century may be imminent if the Large Hadron Collider outside Geneva produces nano-blackholes when it goes live again. According to the best current physics, such nano blackholes could not be produced with the energy levels the LHC can generate, but could only come into being if a parallel universe were providing extra gravitational input. Versions of multiverse theory suggest that there is at least one other universe very close to our own, perhaps only a millimeter away. This makes it possible that some of the effects, especially gravity, "leak through," which could be responsible for the production of dark energy and dark matter that make up 96% of the universe. While it hasn’t been proven yet, many highly respected and credible scientists are now saying there’s reason to believe that parallel dimensions could very well be more than figments of our imaginations. "The idea of multiple universes is more than a fantastic invention—it appears naturally within several scientific theories, and deserves to be taken seriously," stated Aurelien Barrau, a French particle physicist at the European Organization for Nuclear Research (CERN). There are a variety of competing theories based on the idea of parallel universes, but the most basic idea is that if the universe is infinite, then everything that could possibly occur has happened, is happening, or will happen. Amazing mirage appeared on Thursday, June 16, 2011 at dusk at the Tunxi section of the Xin’an River in Huangshan City, east China’s Anhui Province, when continuous pouring rain had just stopped. In the thin mist above the river were spectacular images of mountains, buildings and trees, which seemed to be floating on the river. The phenomenon began at about 17:00 p.m. local time, attracting a large number of people, who paused to watch the ethereal scene. “It’s really amazing. It looks like a scene in the movie, in a fairyland,” a local said. Similar sights are often seen lately, only they were not as special as this one, local residents say. Which 'mystery' city appeared in a mirage in eastern China on Thursday? An amazing video news report from China of an 'optical illusion' that appeared at approximately 5 PM, local time on Thursday in eastern China at the Tunxi section of the Xin’an River in Huangshan City, the mirage, a spectacular skyline of a city and mountains. According to the news report in the video, the latest 'optical illusion', one of several that have been recently seen in the area. We wondered, does anyone know the identity of the 'mystery' city? Was the optical illusion a 'real city'? In 2005, an earlier 'optical illusion' was seen by thousands of residents of Penglai City for 'four hours'. The illusion or mirage, clear enough to see ''bustling cars as well as crowds of people all clearly visible'. According to the scientific explanation, these types of mirages, 'superior' mirages, are 'impressions'. The city was Huangshan city. there was no mysterious event. There was simply fog along the surface of the rain swollen river which made the buildings appear to be floating on clouds. The narration of the video is simply misleading. Thanks for the info, James. Am I correct in assuming that you have been there? The video made it sound like it was a mirage...like the buildings and mountains weren't really there. If there is just fog obscuring the bottom of them than that would just make it an optical illusion. Yep...which is the way that some things tend to get skewed. We have a similar thing that happens here where I live..low clouds come in and fill all of the canyons and housing projects..making the mountains further away look like fairy kingdoms in the clouds..It's lovely but just a trick of mist and clouds. Still...very cool to see. Residents in a Chinese city have been stunned after a giant mirage of a 'ghost city' towered across the skyline. Tall buildings, mountains and trees appeared to rise up through the ghostly mist that had descended over the river at dusk. There is usually nothing but sky across the horizon. Amazed residents recorded the footage with some even suggesting that it could have been a 'vortex' to a lost civilisation. The pictures have baffled experts who visited the city to check that there were not actually any of the building already there. In 1954, a young Princeton university doctoral candidate named Hugh Everett III came up with a radical idea: That there exist parallel universes, exactly like our universe. These universes are all related to ours; indeed, they branch off from ours, and our universe is branched off of others. Within these parallel universes, our wars have had diferent outcomes than the ones we know. Species that are extinct in our universe have evolved and adapted in others. In other universes, we humans may have become extinct. This thought boggles the mind and yet, it is still comprehensible. Notions of parallel universes or dimensions that resemble our own have appeared in works of science fiction and have been used as explanations for metaphysics. With his Many Worlds theory, Everett was attempting to answer a rather sticky question related to quantum physics: why does quantum matter behave erratically? The quantum level is the smallest one science has detected so far. The study of quantum physics began in 1900, when the physicist Max Planck first introduced the concept to the scientific world. Planck's study of radiation yielded some unusual findings that contradicted classical physical laws. These findings suggested that there are other laws at work in the universe, operating on a deeper level than the one we know. Parallel Universes: Split or String? The Many-Worlds theory and the Copenhagen interpretation aren't the only competitors trying to explain the basic level of the universe. In fact, quantum mechanics isn't even the only field within physics searching for such an explanation. Following his famous Theory of Relativity, Einstein spent the rest of his life looking for the one final level that would answer all physical questions. Physicists refer to this phantom theory as the Theory of Everything. Quantum physicists believe that they are on the trail of finding that final theory. But another field of physics believes that the quantum level is not the smallest level, so it therefore could not provide the Theory of Everything. These physicists turn instead to a theoretical subquantum level called string theory for the answers to all of life. String theory was originated by the physicist Michio Kaku. His theory says that the essential building blocks of all matter as well as all of the physical forces in the universe -- like gravity -- exist on a subquantum level. These building block resemble tiny rubber bands - or strings - that make up quarks - quantum particles -, and in turn electrons, and atoms, and cells and so on. Exactly what kind of matter is created by the strings and how that matter behaves depends on the vibration of these strings. It is in this manner that our entire universe is composed. And according to string theory, this composition takes place across 11 separate dimensions. The universe we live in may not be the only one out there. In fact, our universe could be just one of an infinite number of universes making up a "multiverse." Though the concept may stretch credulity, there's good physics behind it. And there's not just one way to get to a multiverse — numerous physics theories independently point to such a conclusion. In fact, some experts think the existence of hidden universes is more likely than not. Scientists can't be sure what the shape of space-time is, but most likely, it's flat (as opposed to spherical or even donut-shape) and stretches out infinitely. But if space-time goes on forever, then it must start repeating at some point, because there are a finite number of ways particles can be arranged in space and time. So if you look far enough, you would encounter another version of you — in fact, infinite versions of you. Some of these twins will be doing exactly what you're doing right now, while others will have worn a different sweater this morning, and still others will have made vastly different career and life choices. Because the observable universe extends only as far as light has had a chance to get in the 13.7 billion years since the Big Bang (that would be 13.7 billion light-years), the space-time beyond that distance can be considered to be its own separate universe. In this way, a multitude of universes exists next to each other in a giant patchwork quilt of universes. Space-time may stretch out to infinity. If so, then everything in our universe is bound to repeat at some point, creating a patchwork quilt of infinite universes. In addition to the multiple universes created by infinitely extending space-time, other universes could arise from a theory called "eternal inflation." Inflation is the notion that the universe expanded rapidly after the Big Bang, in effect inflating like a balloon. Eternal inflation, first proposed by Tufts University cosmologist Alexander Vilenkin, suggests that some pockets of space stop inflating, while other regions continue to inflate, thus giving rise to many isolated "bubble universes." Thus, our own universe, where inflation has ended, allowing stars and galaxies to form, is but a small bubble in a vast sea of space, some of which is still inflating, that contains many other bubbles like ours. And in some of these bubble universes, the laws of physics and fundamental constants might be different than in ours, making some universes strange places indeed. 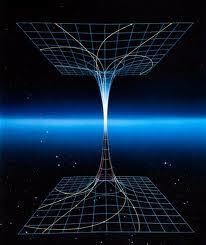 Another idea that arises from string theory is the notion of "braneworlds" — parallel universes that hover just out of reach of our own, proposed by Princeton University's Paul Steinhardt and Neil Turok of the Perimeter Institute for Theoretical Physics in Ontario, Canada. The idea comes from the possibility of many more dimensions to our world than the three of space and one of time that we know. In addition to our own three-dimensional "brane" of space, other three-dimensional branes may float in a higher-dimensional space. 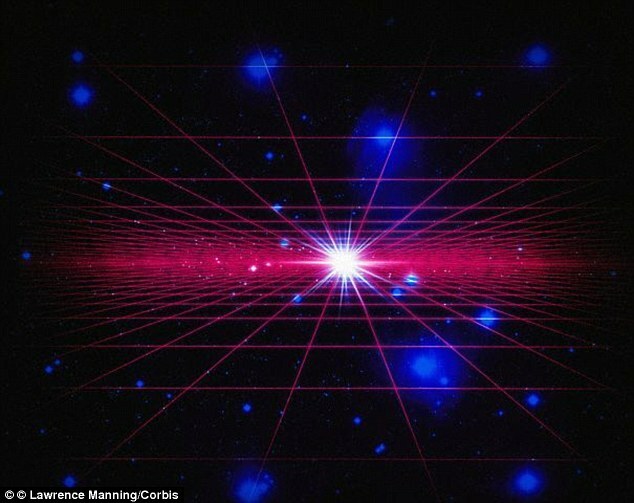 Columbia University physicist bob Greene describes the idea as the notion that "our universe is one of potentially numerous 'slabs' floating in a higher-dimensional space, much like a slice of bread within a grander cosmic loaf," in his book "The Hidden Reality" (Vintage Books, 2011). A further wrinkle on this theory suggests these brane universes aren't always parallel and out of reach. Sometimes, they might slam into each other, causing repeated Big Bangs that reset the universes over and over again. "And in each universe, there's a copy of you witnessing one or the other outcome, thinking — incorrectly — that your reality is the only reality," Greene wrote in "The Hidden Reality." Scientists have debated whether mathematics is simply a useful tool for describing the universe, or whether math itself is the fundamental reality, and our observations of the universe are just imperfect perceptions of its true mathematical nature. If the latter is the case, then perhaps the particular mathematical structure that makes up our universe isn't the only option, and in fact all possible mathematical structures exist as their own separate universes. "A mathematical structure is something that you can describe in a way that's completely independent of human baggage," said Max Tegmark of MIT, who proposed this brain-twistin gidea. "I really believe that there is this universe out there that can exist independently of me that would continue to exist even if there were no humans." Love this read! Even shared it with the family... Thanks Swampy! This is my favorite ;D.
I don't know how it all "works", or comes together, but I think we see "hints" of this possibility, all the time . Just try not to stress out the next time you have to make a decision, . In this view, “nature gets a lot of tries -- the Universe is an experiment that’s repeated over and over again, each time with slightly different physical laws, or even vastly different physical laws,” says Jaffe. MIT physics professor Robert Jaffe and his collaborators felt that this proposed anthropic explanation should be subjected to more careful scrutiny, and decided to explore whether universes with different physical laws could support life. The MIT physicists have showed that universes quite different from ours still have elements similar to carbon, hydrogen, and oxygen, and could therefore evolve life forms quite similar to us, even when the masses of elementary particles called quarks are dramatically altered. Jaffe and his collaborators felt that this proposed anthropic explanation should be subjected to more careful scrutiny, so they decided to explore whether universes with different physical laws could support life. Unlike most other studies, in which varying only one constant usually produces an inhospitable universe, they examined more than one constant. Whether life exists elsewhere in our Universe is a longstanding mystery. But for some scientists, there’s another interesting question: could there be life in a universe significantly different from our own? In work featured in a cover story in Scientific American, Jaffe and colleagues showed that universes quite different from ours still have elements similar to carbon, hydrogen, and oxygen, and could therefore evolve life forms quite similar to us. Even when the masses of the elementary particles are dramatically altered, life may find a way. Although bizarre life forms might exist in universes different from ours, Jaffe and his collaborators decided to focus on life based on carbon chemistry. They defined as “congenial to life” those universes in which stable forms of hydrogen, carbon and oxygen would exist. What if spacetime were a kind of fluid? This is the question tackled by theoretical physicists working on quantum gravity by creating models attempting to reconcile gravity and quantum mechanics. Some of these models predict that spacetime at the Planck scale (10-33cm) is no longer continuous – as held by classical physics – but discrete in nature. Just like the solids or fluids we come into contact with every day, which can be seen as made up of atoms and molecules when observed at sufficient resolution. A structure of this kind generally implies, at very high energies, violations of Einstein's special relativity (a integral part of general relativity). 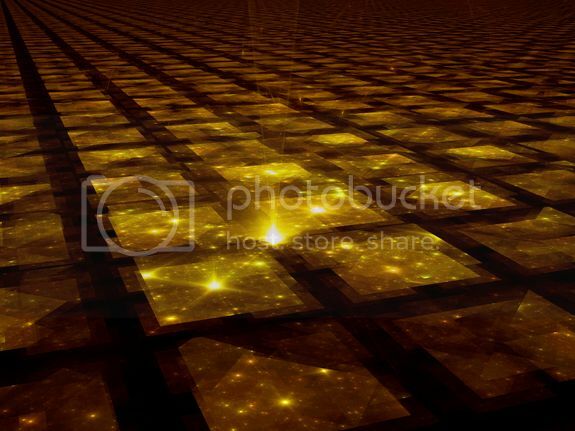 Continue reading ""Is Spacetime a Fluid?" 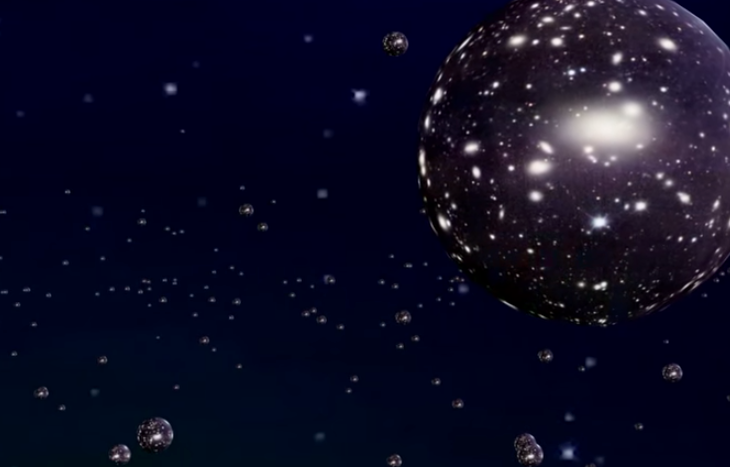 Leading Physicists Query (Today's Most Popular)"
How Would Humans Know If They Lived in a Multiverse? Some theories in physics give rise to the idea of multiple universes, where nearly identical versions of the known universe exist. But if such a multiverse does exist, how would people know, and what would it mean for humanity? There may be ways to find out if the known universe is one of many, said bob Greene, a theoretical physicist and author at Columbia University in New York. For example, in the multiverse suggested by string theory, a model that says the universe is composed of one-dimensional strings, the known universe might exist on a giant 3D membrane, Greene told Live Science. In such a world, "if the universe is a loaf of bread, everything we know about takes place on one slice," he said. Conceivably, debris from collisions that migrated off our slice into the wider cosmos might leave missing energy signatures, which a particle accelerator like the Large Hadron Collider at CERN might be able to detect, Greene said. Some theories of inflation, the notion that the universe expanded rapidly in the first fractions of a second after the Big Bang, suggest another kind of multiverse. The Big Bang could be one of many big bangs, each giving rise to its own universe — a cosmic bubble in a sea of other bubbles. In such a scenario, the known universe might collide with another one, which might leave an imprint on the cosmic microwave background, the radiation signature left over from the Big Bang, Greene said. Greene stressed that all of these notions are highly speculative — "There's reason to take the ideas seriously, but they are far from science fact," he said. Ah...we love to ponder the unknowable. Even when we experience something that suggests that SOMETHING ELSE might be going on sometimes...we explain it away. Hence, deja vu is a brain glitch between the two hemispheres, with one receiving the signal before the other one. Or maybe damage. 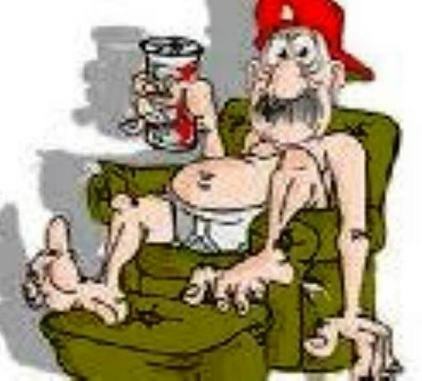 Terry was adamant that he had been in the Royal Jubilee hospital, in the cardiac until before. And that he didn't like it and wanted to escape. Maybe in one reality he did die. He kept calling it a "hotel". Maybe he was uneducated and unaware of what was happening to him. In this one, he was struggling to recover. Who knows? How vast is this for you? It is hard to imagine that the little red dot is our Milky Way. My mother did read me some fairy tales (although I remember being horrified when I was about 6 or 7 reading an original Hans Christian Anderson fairly tale book. Do you know that Disney REALLY REALLY took the violence out of the fairy tales? In Cinderella, after the beautiful mistreated princess has her rightful power restored she makes her stepsister dance - in metal shoes heated up. Not so great before bed aye? And the match girl who does freeze to death (no last minute reprieve for her). But anyway - I think fairy comes from other dimensions. They may have started co-existing with us but withdrew from our consciousness. They are still "here" but we cannot see them- although children can. Animals too sometimes I think. Australian physicists are challenging the foundations of quantum science with a new, and of course, unfalsifiable, theory based on the existence of, and interactions between, parallel universes. The team proposes that parallel universes really exist, and that they interact. That is, rather than evolving independently, nearby worlds influence one another by a subtle force of repulsion. They show that such an interaction could explain everything that is bizarre about quantum mechanics. In a paper published in the journal Physical Review X, Howard Wiseman and Michael Hall from Griffith University's Centre for Quantum Dynamics, and Dr Dirk-Andre Deckert from the University of California, take interacting parallel worlds out of the realm of science fiction and into that of hard science. Or, so they say. As the American theoretical physicist Richard Feynman once noted: "I think I can safely say that nobody understands quantum mechanics." The "Many-Interacting Worlds" approach developed at Griffith University provides a new perspective on this baffling field and shows that they, too, don't understand quantum mechanics. "The idea of parallel universes in quantum mechanics has been around since 1957," says Professor Wiseman. "In the well-known "Many-Worlds Interpretation", each universe branches into a bunch of new universes every time a quantum measurement is made. All possibilities are therefore realised. But critics question the reality of these other universes, since they do not influence our universe at all. On this score, our "Many Interacting Worlds" approach is completely different, as its name implies." According to Wiseman and his colleages: The universe we experience is just one of a gigantic number of worlds. Some are almost identical to ours while most are very different; All of these worlds are equally real, exist continuously through time, and possess precisely defined properties; All quantum phenomena arise from a universal force of repulsion between 'nearby' (i.e. similar) worlds which tends to make them more dissimilar. "The beauty of our approach is that if there is just one world our theory reduces to Newtonian mechanics, while if there is a gigantic number of worlds it reproduces quantum mechanics," he says. "In between it predicts something new that is neither Newton's theory nor quantum theory. We also believe that, in providing a new mental picture of quantum effects, it will be useful in planning experiments to test and exploit quantum phenomena." We think perhaps that Weisman and Hall's theory is the result of a wee bit too many pints of Toohey’s Old at the local Griffith pub. Imagine a world where dinosaurs hadn't become extinct, Germany had won World War II and you were born in an entirely different country. These worlds could exist today in parallel universes, which constantly interact with each other, according to a group of US and Australian researchers. It may sound like science fiction, but the new theory could resolve some of the irregularities in quantum mechanics that have baffled scientists for centuries. The team from Griffiths University and the University of California suggest that rather than evolving independently, nearby worlds influence one another by a subtle force of repulsion. They claim that such an interaction could explain everything that is bizarre about how particles operate on a microscopic scale. Quantum mechanics is notoriously difficult to fathom, exhibiting weird phenomena which seem to violate the laws of cause and effect. 'The idea of parallel universes in quantum mechanics has been around since 1957,' said Howard Wiseman, a professor in Physics at Griffith University. 'In the well-known 'Many-Worlds Interpretation'', each universe branches into a bunch of new universes every time a quantum measurement is made. All quantum phenomena arise from a universal force of repulsion between 'nearby' (i.e. similar) worlds which tends to make them more dissimilar. 'But critics question the reality of these other universes, since they do not influence our universe at all. The Many Worlds theory was first proposed by Hugh Everett, who said that the ability of quantum particles to occupy two states seemingly at once could be explained by both states co-existing in different universes. Instead of a collapse in which quantum particles 'choose' to occupy one state or another, they in fact occupy both, simultaneously. Imagine a physicist sitting in a chamber with a gun pointed directly at her head. Every few seconds, the spin direction of a random particle in the room is measured. If the particle is spinning one direction then the gun goes off and the physicist dies. If the particle is spinning in the opposite direction, there's just a clicking sound and the physicist survives. She has a 50/50 chance of surviving, right? It might not be that simple if we live in a multiverse — the idea that multiple universes, apart from the one we call home, exist. This scenario with the physicist and the gun is the start of a famous thought experiment called "quantum suicide," and it's one way for physicists to consider if we really are living in just one of many (and potentially infinitely many) universes. This thought experiment relies on quantum mechanics and the idea that there is no single objective reality. Everything that we see around us is just one possible configuration of all the probabilities of any one thing happening. One interpretation of quantum mechanics is that all the other arrangements of probabilities could exist in their own separate universe. So if you follow the thought experiment all the way through with this idea in mind, then the second that first particle is measured, the universe splits into two universes, based on two possible outcomes: one in which the physicist lives and one in which she dies. Her survival is now tied to a quantum probability, so she'll be both dead and alive at once — just in different universes. If a new universe splits off every time a particle is measured and the gun either fires or doesn't, then in one of those universes, the physicist will end up surviving, say 50 particle measurements. You can think of this as flipping a coin 50 times in a row. You have an extremely low likelihood of getting heads each of those 50 times — less than a 1 quadrillion chance, but it is possible. And if it happens, that's enough for the physicist to conclude that the multiverse is real, and effectively she becomes immortal in the universe in which the gun never goes off. But she also becomes the only person who knows that parallel universes exist. This probably sounds like the plot of a sci-fi movie, but there are other, more reasonable-sounding versions of the multiverse that are backed up by math and are potentially testable. "Some people conflate parallel universes with jumping through a portal into another world, or something like that," Matthew Johnston, a physicist at the Perimeter Institute, told Business Insider. "But it's not really like that at all." I'm a big believer in parallel universe theory and string theory. I'm not so certain that those we consider 'space' travelers..aren't in reality from other dimensions or worlds in close proximity to ours. Just because we can't see something..or haven't the knowledge yet to figure it out...doesn't mean it's not there. Like a more spiritual realm..or dimension..where things vibrate a bit differently and we don't vibrate close enough to see them. Some can...and I think that's because their own frequency is close enough to theirs to see..ghosts or angels or other things..but just a bit away from the 'average'. We think that what we see is what we get. Some people get so stuck in the past..they can't begin to fathom a future because it's too elusive and the past way too knowable. Too bad it's the past. What we see...or choose to see..is not a fraction of what is..and I know that for fact. Let go of the tried and true..and delve into the possibilities. A Parallel Universe --"Is It Revealed at the Quantum Level?" Could the strange behavior of quantum particles indicate the existence of other parallel universes? It started about five years ago with a practical chemistry question asked by Bill Poirier, a professor of chemistry at Texas Tech University, Little did Bill Poirier realize as he delved into the quantum mechanics of complex molecules that he would fall down the rabbit hole to discover evidence of other parallel worlds that might well be poking through into our own, showing up at the quantum level. The Texas Tech University professor of chemistry and biochemistry said that quantum mechanics is a strange realm of reality. Particles at this atomic and subatomic level can appear to be in two places at once. Because the activity of these particles is so iffy, scientists can only describe what’s happening mathematically by “drawing” the tiny landscape as a wave of probability. Chemists like Poirier draw these landscapes to better understand chemical reactions. Despite the “uncertainty” of particle location, quantum wave mechanics allows scientists to make precise predictions. The rules for doing so are well established. At least, they were until Poirier’s recent “eureka” moment when he found a completely new way to draw quantum landscapes. Instead of waves, his medium became parallel universes. Though his theory, called Many Interacting Worlds, sounds like science fiction, it holds up mathematically. Originally published in 2010, it has led to a number of invited presentations, peer-reviewed journal articles and a recent invited commentary in the premier physics journal Physical Review. In his theory, Poirier postulates that small particles from many worlds seep through to interact with our own, and their interaction accounts for the strange phenomena of quantum mechanics. Such phenomena include particles that seem to be in more than one place at a time, or to communicate with each other over great distances without explanations. There is no fuzziness in his theory. Particles do occupy well-defined positions in any given world. However, these positions vary from world to world, explaining why they appear to be in several places at once. Likewise, quantum communication of faraway particles – something Albert Einstein called “spooky action at a distance” – is actually due to interaction of nearby worlds. [Pin It] Physicists at the World Science Festival in New York discussed how a multiverse theory could help or hinder the pursuit of a scientific explanation for why our universe is fit to support life.